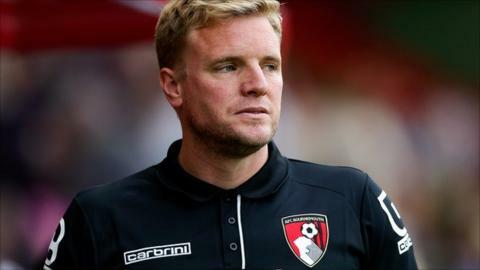 Bournemouth manager Eddie Howe says that the upcoming schedule for his side will be key in shaping their season. The Cherries begin a run of seven games in 21 days, starting with back-to-back home games against Rotherham and Leeds on Saturday and Tuesday. With his side lying 11th in the Championship table, Howe says the next month holds plenty of significance. "We need as many of our quality players ready for this spell as it's going to be key," he told BBC Radio Solent. Howe, whose side finished 10th last season, believes the Championship is a better league this season and is relishing the next stage of it. "I think it's a better league this year," he added. "It's more competitive but I think we're better, so our standards need to improve all the time. "As to say where we will be is very difficult to say at this time. Our results could have been better, we should have more points on the board and I think this next segment of games will be key for us. "At some stage the league will start to take shape and we need to be in the top half consolidating our position for the turn of the year."